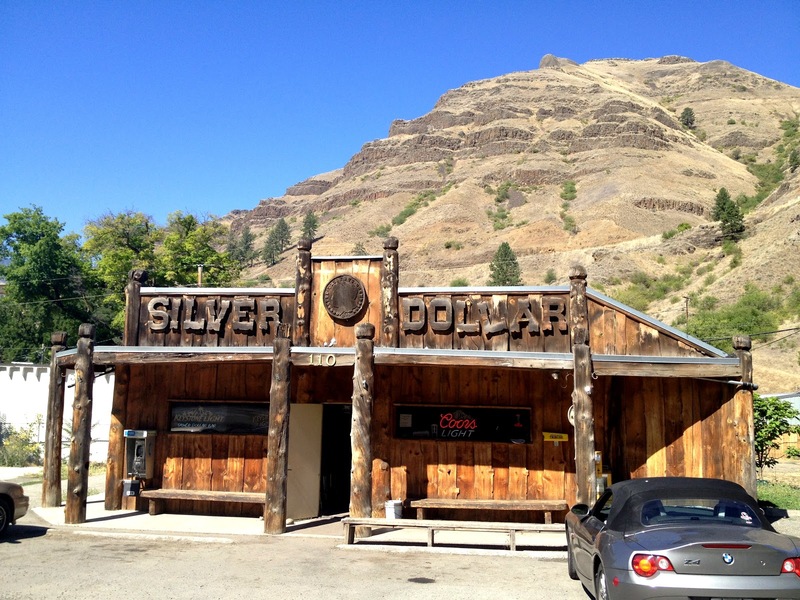 In the current town of White Bird, population 91, down the canyon along Old U.S. Highway 95, is the Silver Dollar Cafe and Saloon. You walk in under a baggie of water hanging over the door, which people believe keeps away flies. 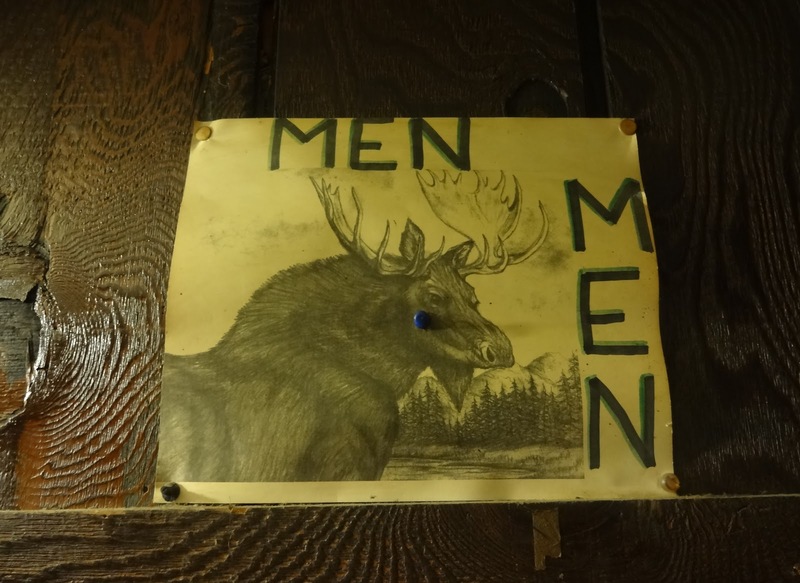 The saloon is in front, where a woman with a beehive hairdo serves strong, cheap drinks. 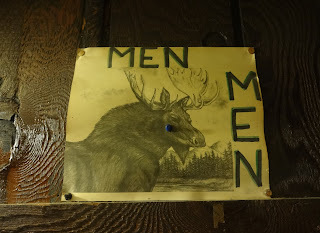 Through the saloon is the cafe, where locals play cribbage and refresh their coffee at the self-serve stand. The locals do not immediately cotton to out-of-towners, and it takes a while to find who might eventually warm up to chat with you. 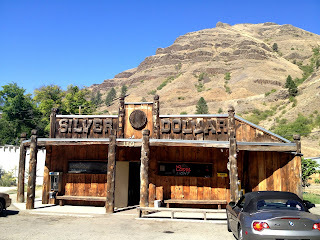 We didn't find out how long the Silver Dollar had been around, but apparently an old version burned down, and this one was rebuilt around 1951. Est. 1952 - Building constructed: 1951?